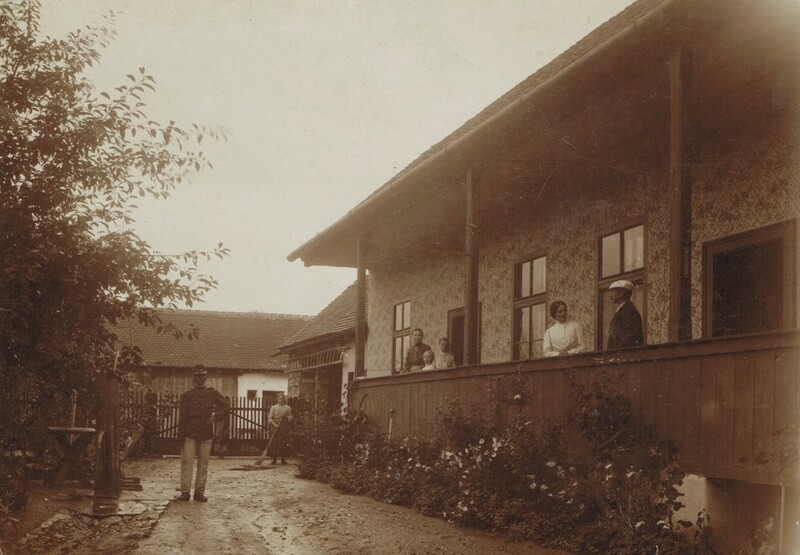 In September 1894 Second Lieutenant Josef Kolbe joined the companies of his 50th Infantry Regiment garrisoned in Fogarasch (Hungarian: Fogaras / Romanian: Făgăraș), Transylvania. 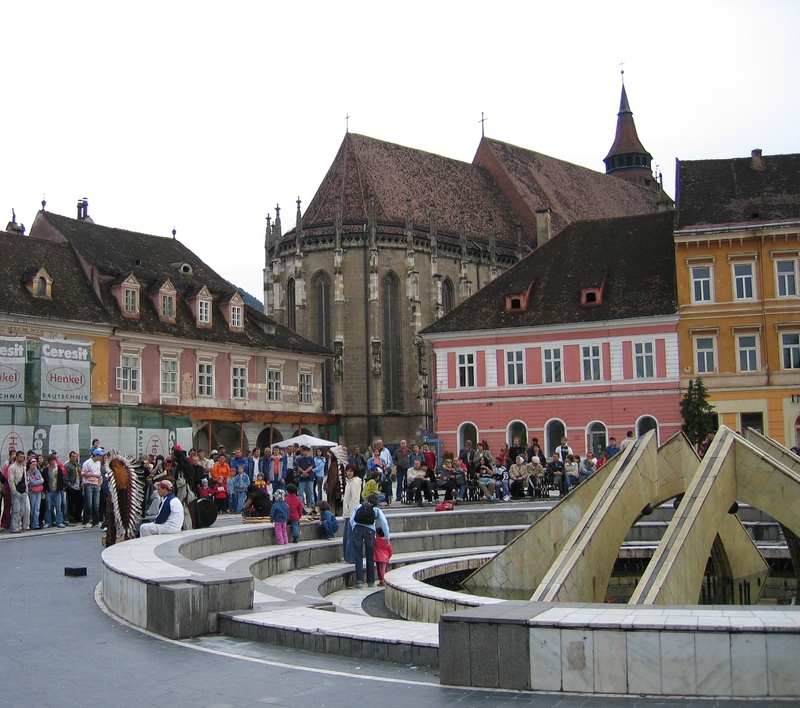 He was destined to spend the next seventeen years in this easternmost territory of the Austro-Hungarian Empire until his marriage in September 1911 to Emilie Däubel, who came from a long established family of Transylvanian Saxon settlers. 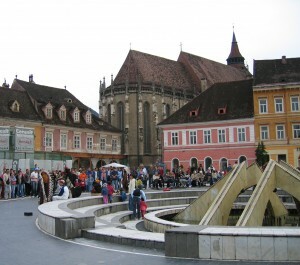 The region that came to be known as Transylvania had been the theatre of numerous invasions and colonisations from east and west, before it was conquered by the Hungarians in c895. 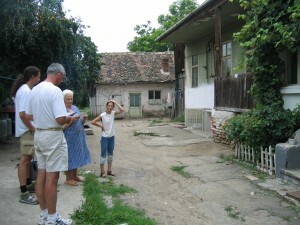 The Hungarian speaking Székelys were subsequently settled on its sparsely populated land to secure it from further invasion. 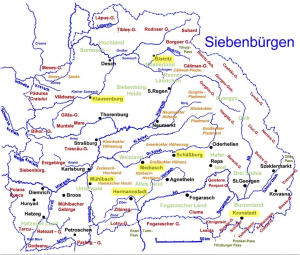 They were followed in the middle of the 12th century by German speaking farmers, miners and craftsmen, mostly from the western side of the middle and lower Rhine. The Hungarian King Géza II had invited them with the similar intention of forming a bulwark against raiders, but also to cultivate the land and develop the economy. 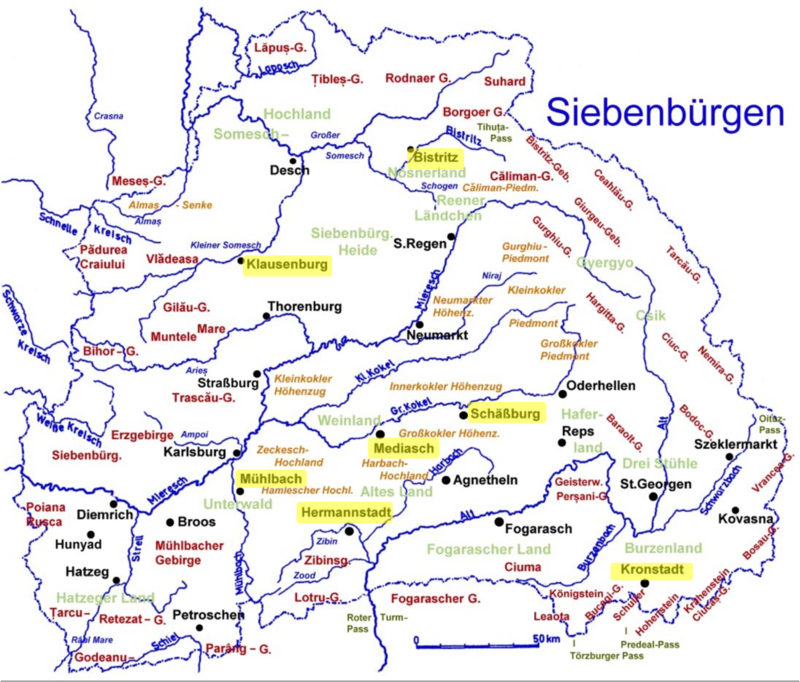 The German settlers came to be known as the “Siebenbürger Sachsen”, the Saxons of Transylvania. 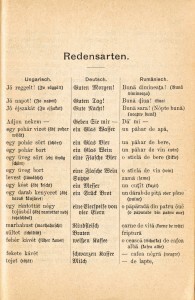 The name Saxon was not an indicator of their origins but rather the Latin name for a privileged German warrior class, and the term came to be applied to the German settlers, even eventually by the settlers themselves. 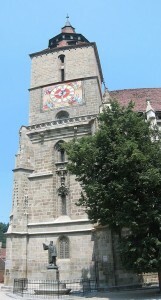 The origin of the name Siebenbürgen, which is still an open question, is widely held to stem from the seven towns founded by the Transylvanian Saxons, one of which was Kronstadt (Brassó / Brașov), where the earliest recorded member of the Däubel family is mentioned in the church registers. 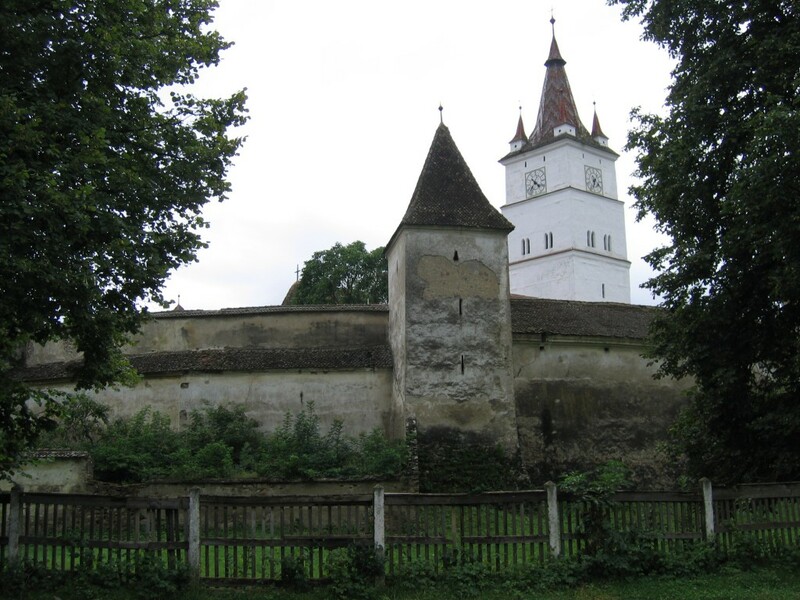 Each Transylvanian Saxon village had its fortified church, which had lodgings and storerooms built into the inner sides of the surrounding wall where the population could take refuge when danger threatened. The main threat came from the east, and the Hungarians were defeated by the Turks at the battle of Mohács, when Transylvania became an Ottoman vassal state, though it maintained its internal autonomy. 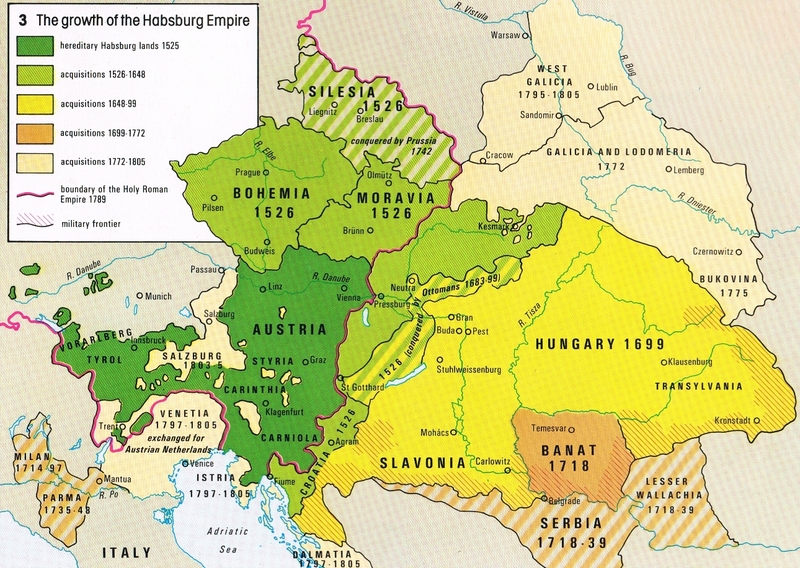 Habsburgs and Ottomans vied for its supremacy for nearly two centuries, with the Habsburgs finally acquiring the territory shortly after the Battle of Vienna in 1683. In 1699 the Turks officially conceded their loss of Transylvania and in 1867 it was absorbed into the Hungarian part of the newly established Austro-Hungarian Empire. 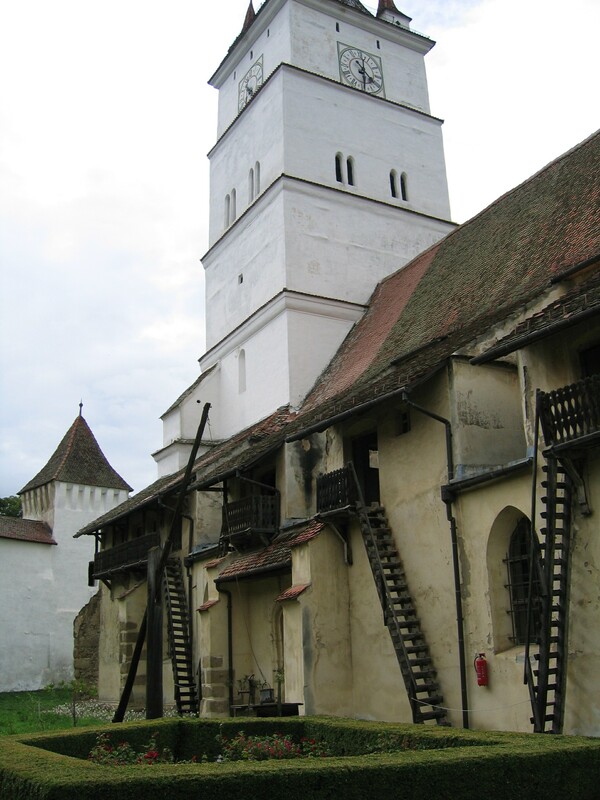 The Transylvanian Saxons were originally catholic, but from 1546 embraced a version of Protestantism preached by Johannes Honterus, a Kronstadt man who had studied in various seats of learning in the Holy Roman Empire. The Black Church of Kronstadt was the first to be dedicated to the new Lutheran faith. 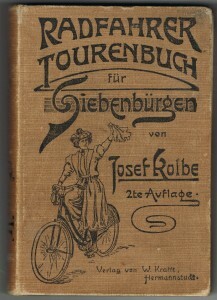 Josef Kolbe became a convert in December 1904, not out of religious conviction, as he was extremely anti-church, but to fulfill a condition of marriage to Emilie Däubel. 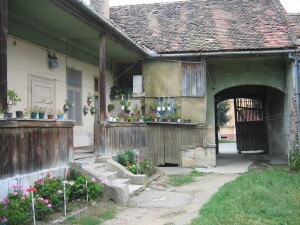 Over the seventeen years he spent at the garrisons of Karlsburg (Gyulafehérvár / Alba Iulia), Kronstadt and in particular Fogarasch, Josef Kolbe came to consider Transylvania as his second home. 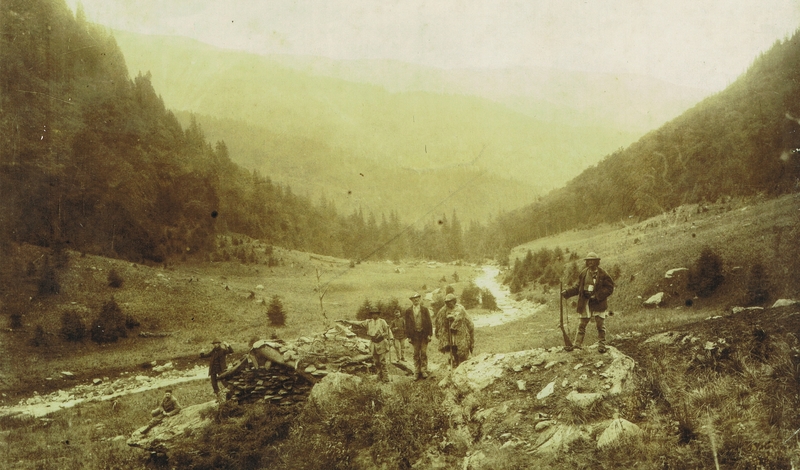 He grew to love its wild, rugged beauty which, despite the ravages of communism, remains largely untouched to this day. He was never happier than when he was criss-crossing the countryside on foot, by bicycle, by ski or by raft. 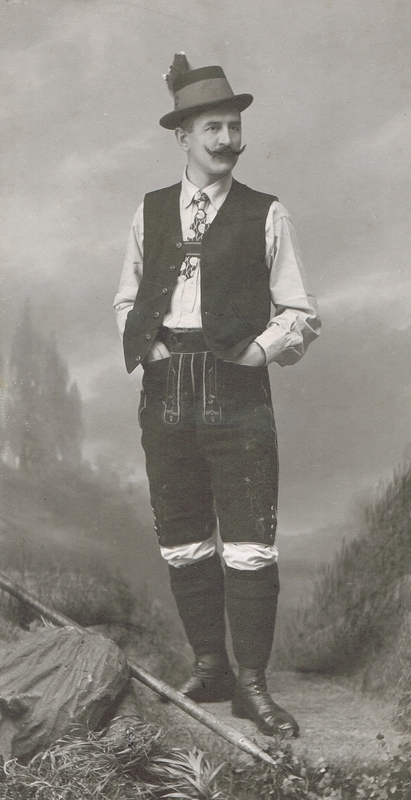 A keen mountaineer, speleologist and botanist, he also took a lively interest in history and archaeology, and was the founder of a number of clubs and a member of many others. 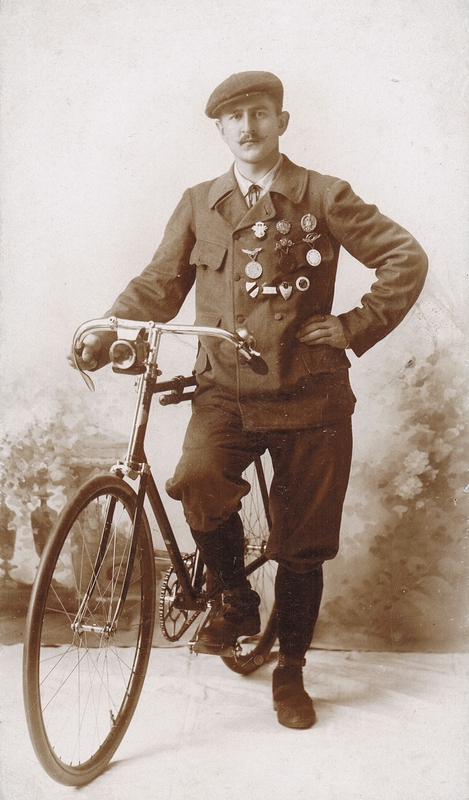 During his peregrinations he was struck by the lack of a thorough and reliable guide book to reveal the natural beauty of Transylvania to the visitor, so in c1900 he took it upon himself to write a cyclist’s guide. 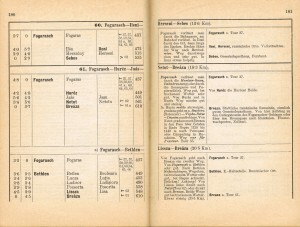 It was obviously a success, as a second edition was published in 1902, keeping the same title but extending its scope to cover the then adjacent regions of Hungary, Bukovina and Romania for not only the cyclist, but the hiker and the general tourist. 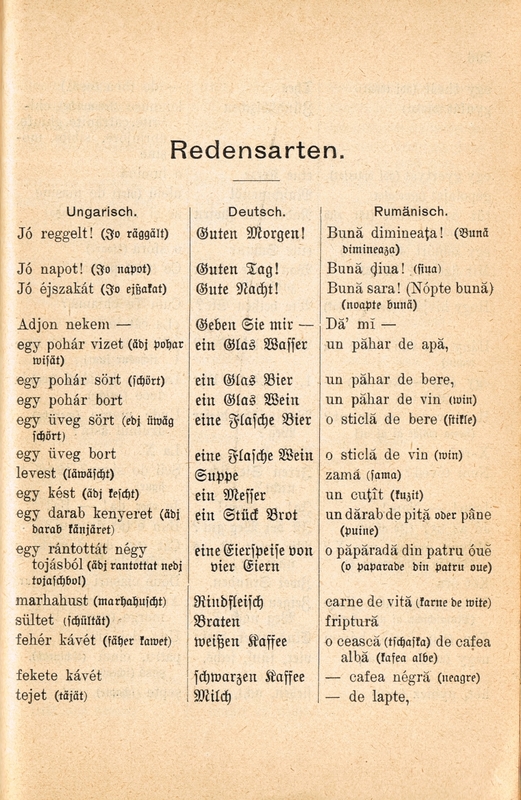 There were chapters on the history, geography, climate, population, agriculture, industry and tourism for each region, together with a detailed description of each itinerary and even a short trilingual table of useful phrases! 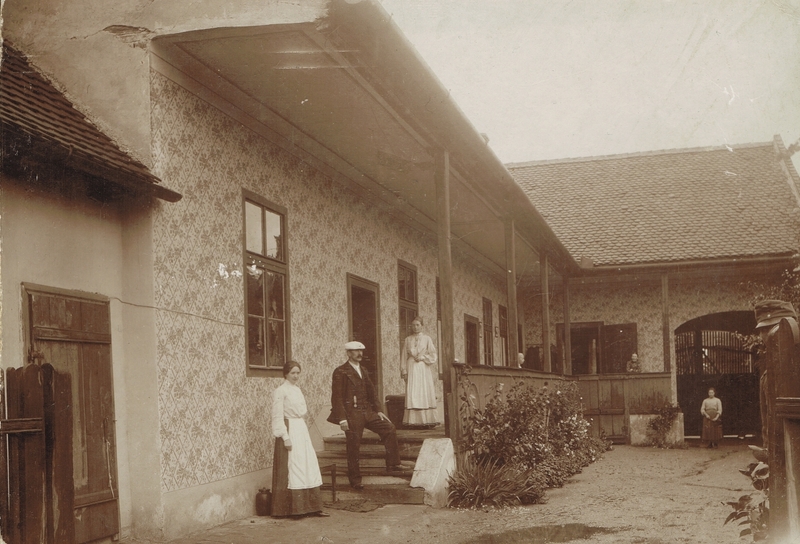 It was while he was garrisoned at Fogarasch that Josef Kolbe must have met his future wife. 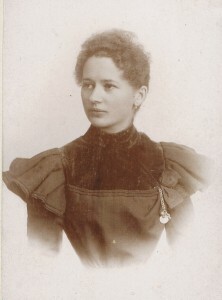 Though the Däubels can be traced back to c1665 in Kronstadt, within a year of their marriage in 1874, Paul Adolf Däubel and his second wife Juliana Langer moved to Fogarasch, where their children were subsequently born. 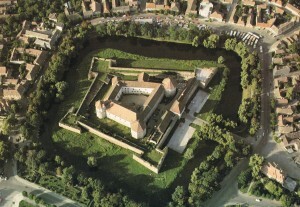 The Däubel family occupied a typical Transylvanian house on a road leading out of town towards the railway station, while Josef Kolbe was probably quartered in the moated fortress dating back to the 14th century that dominates the town centre (now a museum). As seen on an earlier page, the couple must have got to know each other at around the turn of the century and engaged shortly afterwards. 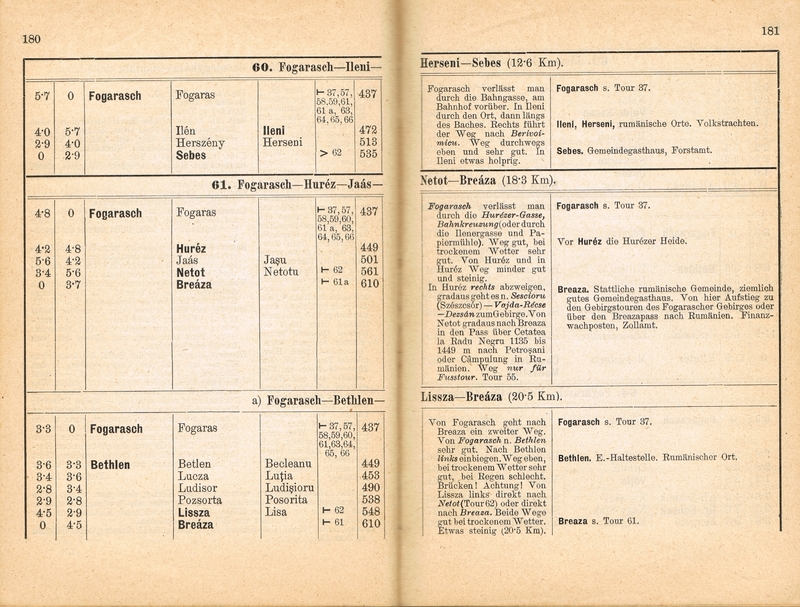 It was an engagement that lasted about ten years, as Josef Kolbe was never able to meet the financial criteria required for officers to marry, even on his Captain’s salary. The only solution was for him to leave the army, a decision he found very difficult to take. 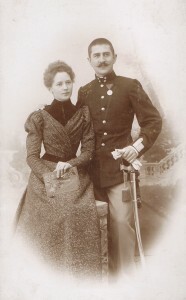 Emilie remained loyal over the years, probably encouraged by her family, as an officer of the Austro-Hungarian army was considered a “good catch”. 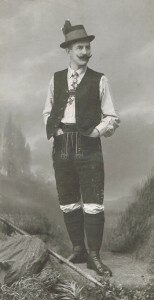 (Perhaps the shrewd Transylvanian Saxons had seen which way the wind was blowing; Emilie’s cousin Elisabeth Langer was also strongly encouraged to make a similar match and move to the Austrian heartland.) 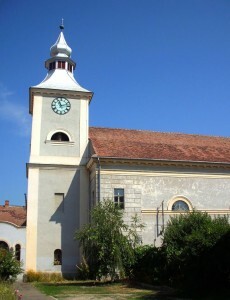 Josef was 38 and Emilie 34 when they were finally married at the Lutheran church of Fogarasch on 21 September 1911.